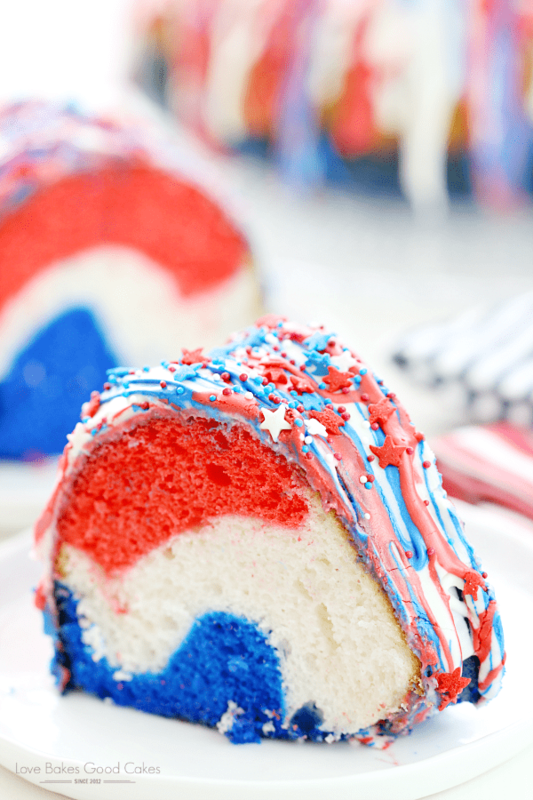 Besides the fireworks, the best part of the 4th of July just might be the delicious desserts! 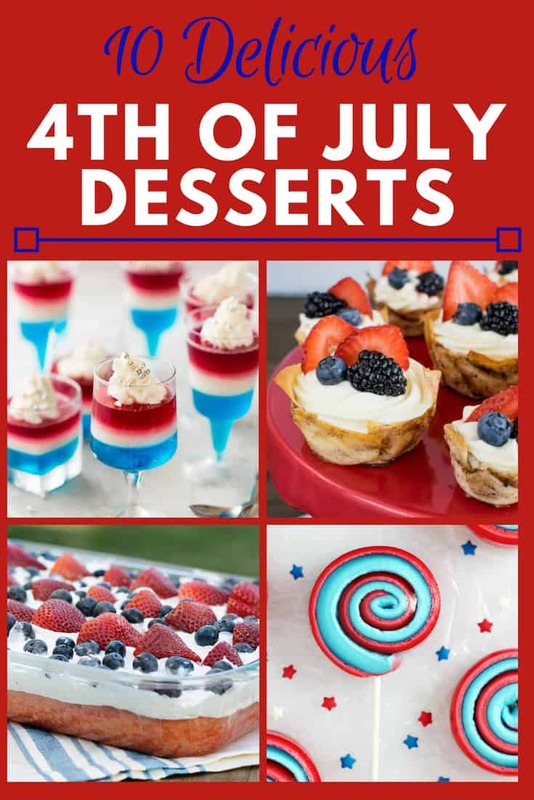 Whether it’s for the neighborhood BBQ or to eat while enjoying the fireworks, we have the perfect dessert for you. Looking for the perfect 4th of July shirt? Check out our posts on 4th of July Shirts for the Whole Family! Want one that the kids will love? 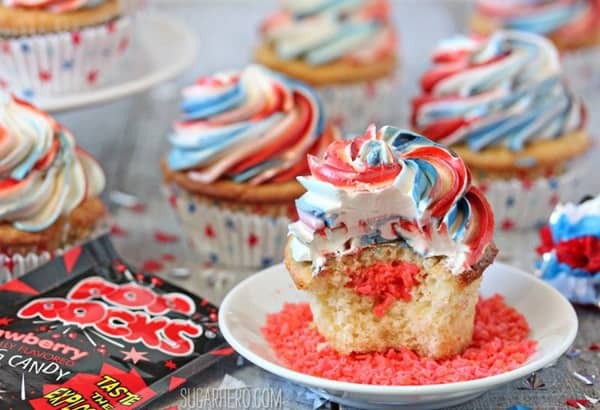 These Exploding Cupcakes have a little secret in them that makes them explode in your mouth! These are great to eat while watching the fireworks and they’re fun to surprise your guests with. 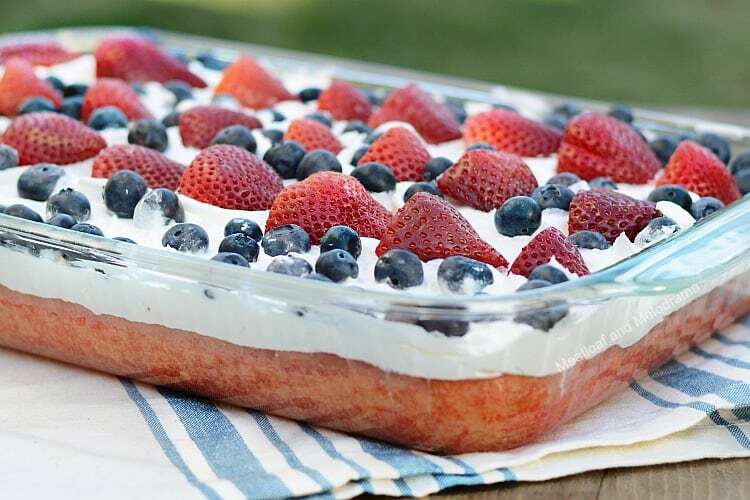 Topped with fresh fruit, this yummy Red, White and Blue Poke Cake is a delicious 4th of July Dessert that you’ll love! 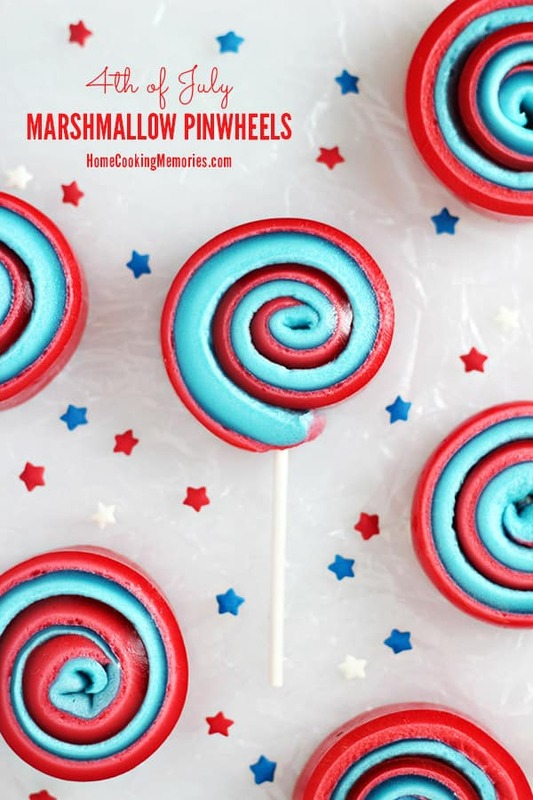 These impressive 4th of July Marshmallow Pinwheels are both fun and delicious! Kids will adore these, adults will be impressed, and they’re surprisingly easy. This fun cake uses three colors to create a red, white and blue cake and then is topped with patriotic icing to finish it. Firecracker Cake is a fun way to celebrate the holiday in style! This simple but delicious dessert recipe will be a hit at your get-together! 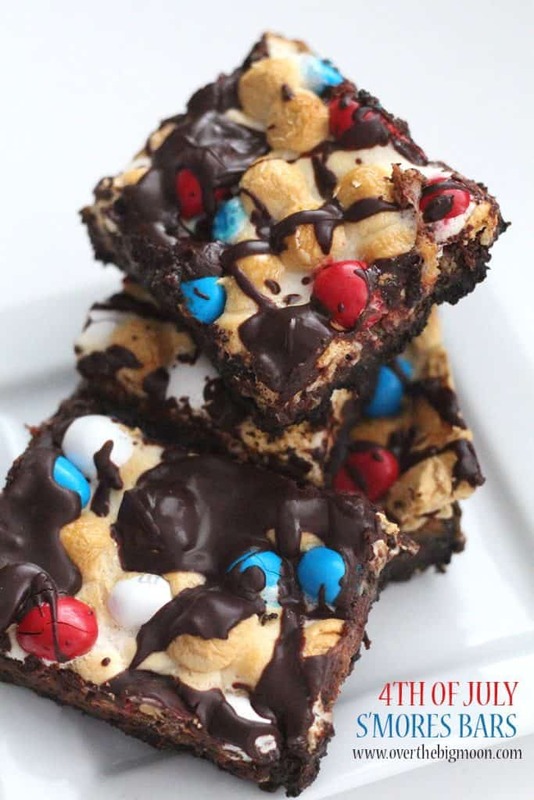 Red, White and Blue Bark is festive and a great recipe to have the kids help out with. 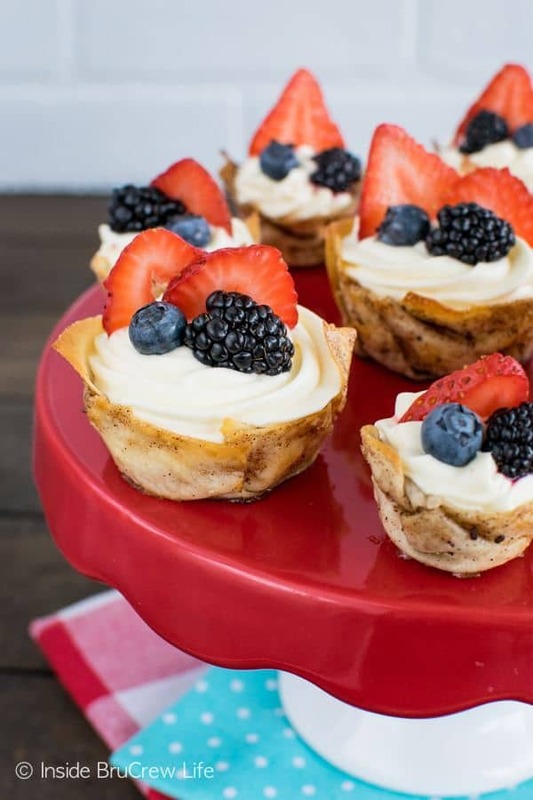 If you’re looking for something tart for the 4th that’s still patriotic, then these Lemon Mousse Dessert Cups are for you! 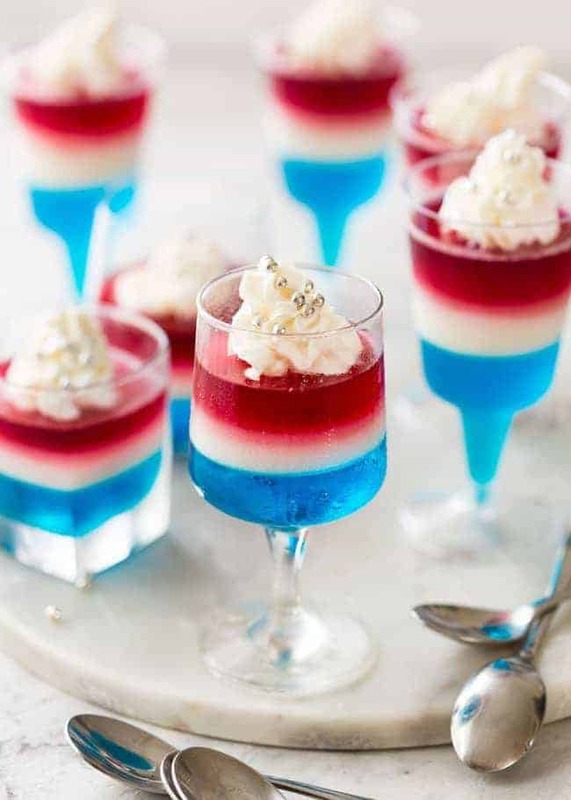 Garnished with berries and filled with lemon mousse, these are red, white and blue and scrumptious. If there’s fire restrictions near you, but you still want S’mores then these 4th of July S’Mores Bars will help fill the void! You can make them up ahead of time in an oven, so no worries about an open flame. 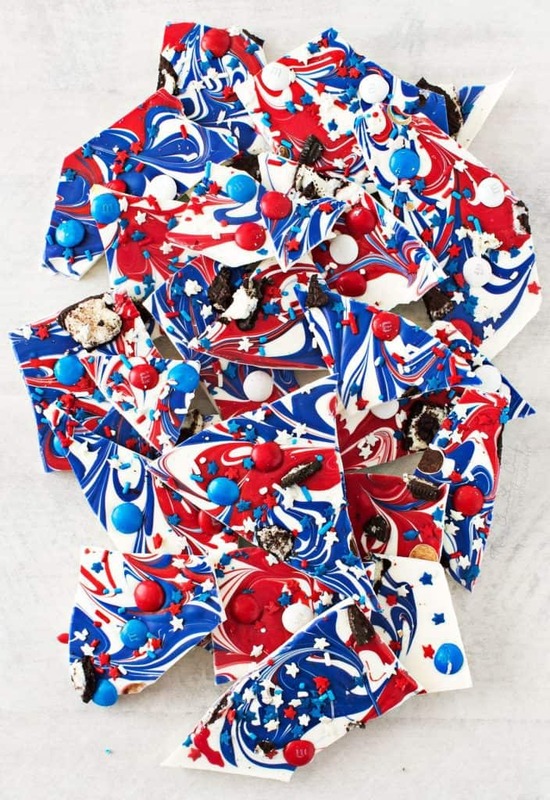 Brownies are one of my favorite desserts, but it can be hard to make them look patriotic. 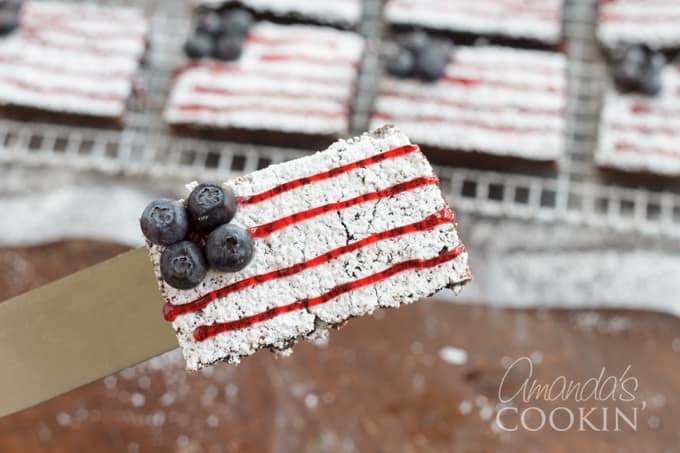 That’s why I love these American Flag Brownies – they’re delicious, they look great, and they’re perfect for the 4th! Trifle is easy and light, which makes it a great summer dessert. 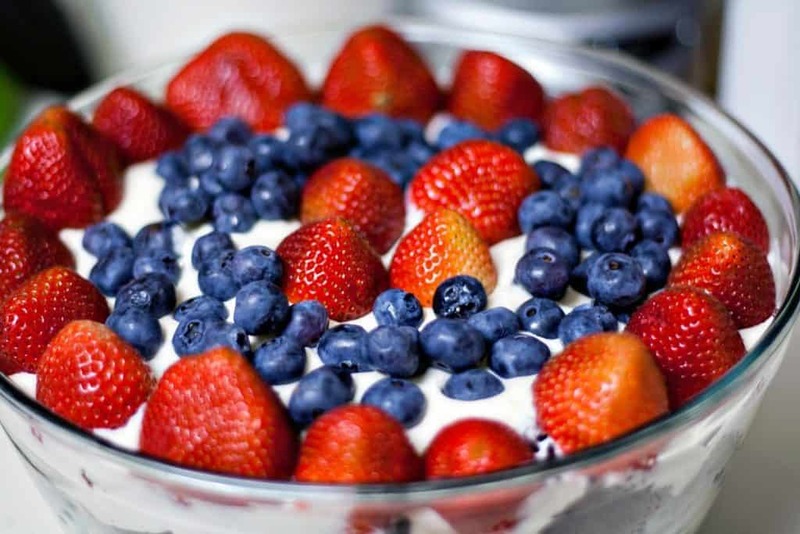 This 4th of July Trifle is both patriotic and delicious! This super easy treat is great if you get into a bind or a rush. 4th of July Layered Jello looks great and can easily be made into an adults only vodka jello treat if you want. It’s fun and yummy!